We spotted this Ferruginious Hawk (Buteo regalis) on a “last call” flight for the evening. He was looking for one more feeding before roosting for the evening. 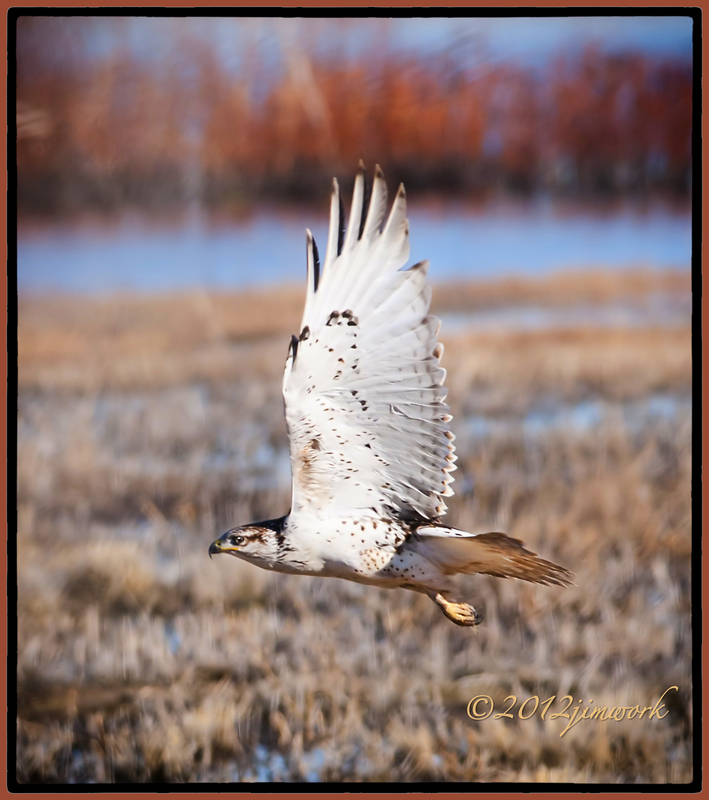 The Ferrugineous Hawk means “rusty color” and refers to the coloration of the wings and legging feathers. Before the extermination of the bison, their nests were often partially made from bison bones and wool. A group of hawks is rightfully known (along with other names) as a “tower” of hawks. R Kelly #1 hit of 1996 I CAN FLY played through my head. That music was used in several Michael Jordon videos and the movie Space Jam.